As of March 31, 2016, this issue has been resolved. Please make sure your Canvas app is updated to the most current version. Contact LDT if you continue experiencing this issue. 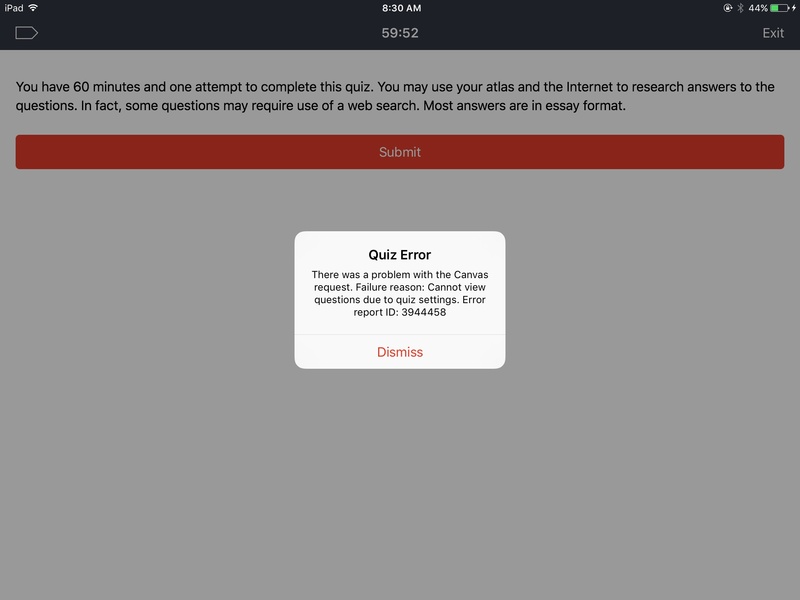 Canvas is currently working on fixing an error students may receive while taking a quiz via the Canvas iPad app. The below error message may appear to students taking quizzes using the Canvas iPad app. This error is caused by quiz settings. The error message will appear when the quiz option Let Students See Their Quiz Responses is left unselected. Until Canvas corrects the issue, here are some things you can do to ensure your students are able to successfully take a quiz. 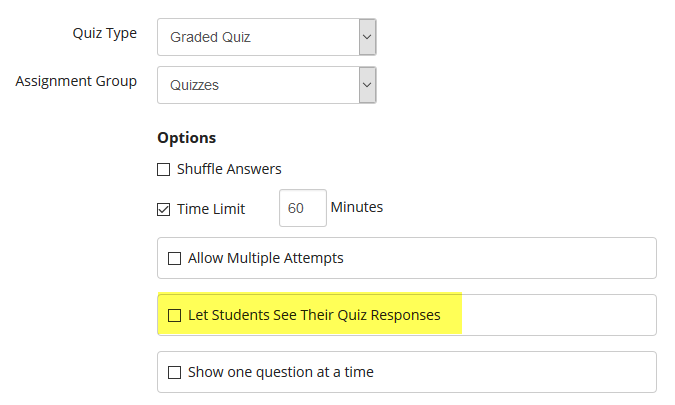 Edit the quiz and select Let Students See Their Quiz Responses. You have the option of restricting this ability to certain dates by choosing when to Show Correct Answers and Hide Correct Answers. Ask students to take the quiz using the Safari browser on the iPad or their desktop/laptop computers. If you need to give your students extra time to complete a quiz, please read Quizzes: Giving Students Extra Time/Attempts.